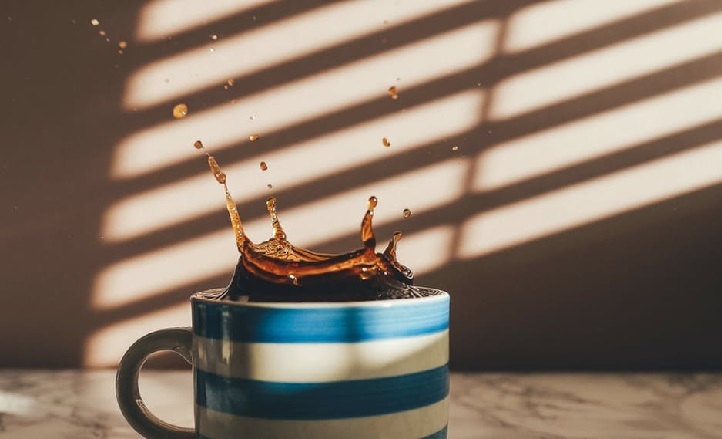 It is not uncommon for many to choose to forgo enjoying a cup of coffee because of the resulting stomach problems that they know will come from drinking it. Unfortunate for many coffee lovers, the fact of the matter is that coffee can be a stomach irritant. It is estimated that up to as many as 40 million individuals in the United States may suffer from stomach irritation from drinking coffee. Heartburn from acid reflux is the most common side effect experienced by those negatively affected. While there may be plenty of both over-the-counter as well as prescription medicine solutions for battling heartburn, this approach can be pricey and doesn’t always work for everyone. Apart from medications, there may be other solutions to be found by looking more closely at coffee itself, the problems it causes, and what exactly may be at the root cause of these unwanted side effects. It is well-documented that consuming coffee can cause heartburn in some individuals. Coffee (as well as other drinks and foods) can relax the muscle between the esophagus and stomach that keeps stomach acid where it should be–in the stomach. When this muscle is relaxed, acid can be released back up into the esophagus, often creating an unpleasant sensation. There is some confusion that surrounds the relationship between heartburn, acid reflux, acid reflux disease, and the overall health impact from these concerns. Heartburn is a symptom of acid reflux. An acidic taste in the throat and/or mouth may occur. These unpleasant symptoms of acid reflux can be caused by a number of reasons and can happen to anyone throughout their lives. If you are experiencing acid reflux on a regular basis (more than once per week) then you likely have Acid Reflux Disease, which is also known as gastroesophageal reflux disease or GERD. The frequent occurrence of the chronic symptoms of acid reflux suffered by those diagnosed with the actual disease can sometimes lead to more serious health concerns than heartburn. In very rare cases, cancer can form from the repeated exposure of the esophagus to stomach acid. Coffee is a major industry and potentially losing out on that many customers who experience discomfort from the product has lead to a fair amount of research on the subject. One of the most important questions researchers had to answer referred to which specific substance or substances may be at fault for the stomach irritation. While caffeine was thought to very likely play a major role in causing heartburn and stomach aches, studies would eventually show that it was not the only problematic component at play. Along with caffeine, catechols are a second kind of compound that has been found to play a role in coffee’s effect on the stomach by stimulating overproduction of stomach acid. Drinking coffee with lower caffeine content may help those who experience uncomfortable side effects, but an additional finding after researching the components of coffee showed that N-methylpyridium (NMP), a chemical compound that is released during roasting, can actually do the opposite and block the production of stomach acid. Based on this finding, researchers could draw the unexpected conclusion that since darker roasts are made from beans that have been roasted longer, darker coffees like French roasts and espresso may actually be easier on the stomach than lighter coffees. The longer roasting time allows for more release of the NMP compound, sometimes resulting in up to twice as much NMP in dark roasts. While coffee manufacturers are working on different techniques such as choosing the best beans with the lowest stomach-irritating compounds or roasting them longer to produce more N-methylpyridium, if you have a stomach sensitive to coffee, you may have to cut back or refrain from drinking the beverage altogether. However, for those who cannot skip their morning cup, choosing darker roasts may be the best choice when trying to minimize heartburn and stomach aches resulting from drinking coffee. Coffee and pregnancy: Is it worth the risk?